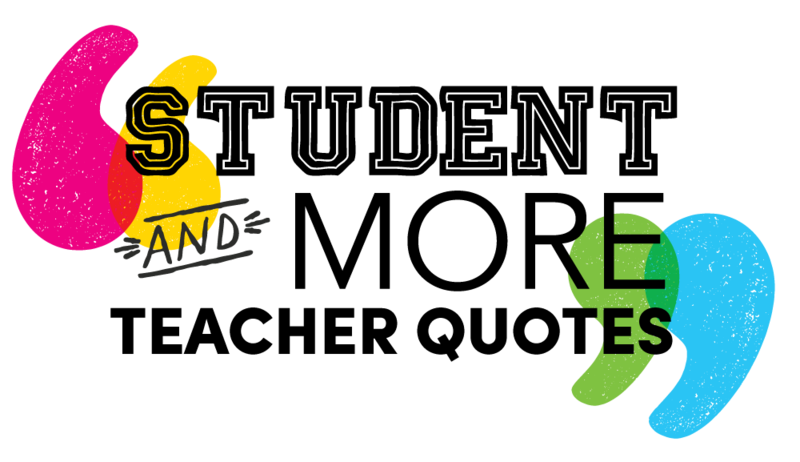 "Mr. Cork worked with 1,100+ teachers/staff and 10,000+ elementary and middle level students has been nothing short of: Energetic, Rich, Impactful, Kid-friendly …Compelling, Opportunistic, Rhythmic & Knowledgeable! Several sixth grade students from your first student workshop school (Porter Elementary) presented four small group vignettes to our Board of Education Curriculum Committee. With their proud parents, Principal Escalera and teacher watching, the students showcased what they had learned from you and how they are maintaining these strategies and messages in their daily existence. Erik Cork arrived at just the perfect time in the Syracuse community. It has been a positive and necessary spark for many of the educators and our community as a whole. Certainly, your work has truly been an inspiration for our students to raise the bar for themselves and dream of their futures." Based on my nearly 20 years of teaching, watching Mr. Cork in action with my students was like witnessing a slow motion miracle unfolding in front of my very eyes. The non-stop fury of sheer excitement he created in our normally quiet school cafeteria was almost too overwhelming for some. However, the total transformation of my students' attitudes toward writing long AFTER his dynamic, all-day seminar came to an end was nothing short of miraculous to behold. Weeks & weeks after this loud language arts guru named Erik Cork departed our campus; my students could not wait to write so they use all of his useful techniques to find the best words to put on their papers. Erik Cork is a man who needs to be cloned! Why hasn't 60 MINUTES or CNN done a feature story on this miracle working instructor? So many professors can lecture about what they think needs to be done in today's classrooms, but Mr. Cork is a true teacher of teachers who are being asked to reach this over-saturated multi-media generation of students. His energy level is like nothing I've ever witnessed in my career as a professional educator. A skeptical person (like I was) must see him to believe him. Mr. Cork uses music and his quirky sense of humor to bring out the best in both professional staff and students alike. He even had the cafeteria workers and the custodians dancing with the children. Best of all, my students can really write now. I am a convert. I'm now a believer that one person can hold the attention of an entire campus with effortless expertise. This dynamic entertainer is definitely the real deal, but I'm not sure if his unorthodox approach to teaching would have been approved of at my traditional school where I grew up in South Carolina. Mr. Cork is like a high-octane, hip-hop version of the old weekly TV show, Schoolhouse Rock. Students that we didn't think would do well on our state P.A.S.S. writing test came through with flying colors because our principal let them spend two days with Mr. Cork in the fall. All we had to do was remind the students to remember everything he taught them inside of his workbook. We also have some of his colorful posters on our walls so we will never forget. What Mr. Cork needs to do now is to share his songs for free on the internet for teachers who can't afford to buy all of the educational products out there. It's gets to be an expensive problem when we are expected to spend our own limited income on other people's children. I’d be willing to download, perhaps a few, of his tunes if he had some available. In the meantime, I'll just keep his strategies alive and jumping in my classroom. Thanks for all you do for the world of education, Mr. Cork. Why is Erik Cork only presenting to the youth at the conference in Indianapolis, and not presenting to the professional staff (teachers and administrators) as well? I am very concerned about this because, as a district superintendent who is ending a huge delegation of educators from Dallas, I listed Erik as one of the 'must participate in' workshops for the principals and teachers attending from my city. Is there any way that an additional workshop can be added so that we can experience Erik, who has had a very positive effect on student achievement for the schools that he has worked with in Dallas? Burleson Elementary was one of our targeted schools for low student achievement --- Erik worked with that school and this year that school is Recognized! We must ensure that all professional staff have the opportunity to experience Erik in action, so that we as NABSE members know the type of workshops to bring forth in our respective Districts. Please add Erik Cork for us to experience while in Indianapolis. Your consideration of this matter will be appreciated! Thanks. Erik Cork is one of the most engaging, entertaining, enthusiastic and effective teachers I have ever seen. We hosted this unbelievable edcator at our middle school for a seven(7) hour workshop. We designed the workshop for our 8th grade students, but we ended up inviting 8th grade students from two other middle schools. We had approximately 720 students. He began with no introduction and launched into a spirited teaching of writing. He convinced reluctant writers that they could write and write well. He provided tools for efficient writers to advance their writing skills. He frequently assessed the students and monitored their participation as he taught using popular music as a backdrop and a constant hook. Every school needs to have Erik Cork work with their students and teachers. The only downside to Erik Cork is that we can’t keep him at our school, or at least in our school district. He is phenomenal! He is brilliant and funny. He puts the E in engagement. Charles F. Kettering High School received a phenomenal presentation that titillated the learning desires of approximately one hundred eleventh grade students. Mr. Erik Cork mesmerized the juniors with music and strategies that opened their creativity in writing. He rapped, wrote and reminded students that they are more than capable of expressing vivid, complex ideas in writing. The students sang rocked, performed, danced and laughed (thing, unfortunately, that they seldom do in regular classrooms”. The teachers joined in the fun, and many student saw a side to the staff that they had never before witnessed. Throughout all the celebrating, students were constantly reminded that they must clearly and thoroughly share their thoughts with vocabulary that reflect the maturity of a college student. The entire audience was actively engaged in note-taking. We were extremely satisfied with all that Mr. Cork delivered. E was professional, witty, organized and time oriented. Our regret is that others were not privy to this awesome workshop. I really knew that Mr. Cork had succeeded when I heard a student singing “Back That Pen Up” as she left her English classroom. Erik Cork is a creative genius who is passionate, motivating, engaging, inspiring, enthusiastic, energetic, captivating, mesmerizing, entertaining and knowledgeable. These are just some words that describe Mr. Erik Cork and his riveting workshop, Rap, Rhythm & Rhyme. He has mastered the art of total student (as well as staff) engagement with massive student retention and recall during and after his workshop. I have witnessed a tremendous growth in my students and teachers over the years after participating in Mr. Cork’s workshop. Also, the Rap, Rhythm and Rhyme workbook has become a cherished resource for students, staff, including myself. Therefore, with Erik Cork’s passion for education, his admiration and appreciation for educators, I am certain his latest creative work “The Teacher’s Lounge “will be another cherished book. Putting his two arms into a strong muscle form and dancing to the words “Strong Organization” is only one of the amazing techniques taught through Eric Cork’s music and writing instructional day. Imagine 400 plus eighth graders filing into the auditorium as music plays from the speakers. They all sit down and all of a sudden this wonderfully energetic talented man springs into action. That is the first moment when teachers and students realize that today is going to be a different type of day. As a teacher of language arts, I am amazed every time I take part in an Erik Cork writing workshop. From the first moment he introduces himself to the last words before dismissing, students are learning, growing and developing writing skills. The engagement level is unmatched! The techniques are memorable. Erik Cork is amazing. I have participated in his workshop for the past four years and the same thing happens every year. As my students sit down to write (formally or informally) they start this silent dance. What is the dance you may ask? The dance moves Mr. Cork taught them as a device for developing excellent writings. I can see them moving their feet to remind them to indent. I can see them moving their arms to remind them not to repeat the same things over and over and over. I can see them shaking their head to remind them not to fall in love with their first draft. It is mind blowing. From paragraph development to word choice, his standard based writing workshop has contributed to Georgia Middle Grades Writing Assessment scores increasing. Ever student that experiences Mr. Cork develops a love for writing. "For over a decade, Erik Cork has coached my elementary and secondary students into becoming extraordinary writers through his innovative techniques and ground-breaking methods. The Rap, Rhythm & Rhyme: Rebuilding the Writing Foundation Workshop, consists of an entire school day focused on unpacking rigorous writing standards coupled with rhythmic beats that revitalizes the flow of a young student’s mind. Erik is committed to ensure that all students are equipped with the mighty sword of the written word in order to successfully compete in this rapidly changing world. I entrust my students and teachers to Erik year-after-year simply because he is Exhilarating, Revolutionary, Inspiring and Keen. I am honored to forever give him my wholehearted endorsement as he academically transforms our youth." "Erik Cork is a master teacher in every sense of the word. His ability to tap the spirit and touch the soul of hundreds of thousands of students and teachers internationally (especially the most marginalized and disempowered) is a true testament to what I call 'Education for Transformation. Witnessing Erik Cork in action is an unbelievable experience! As an international award-winning author and a conductor of reading and writing workshops, I can say that Erik is one of the best out here. 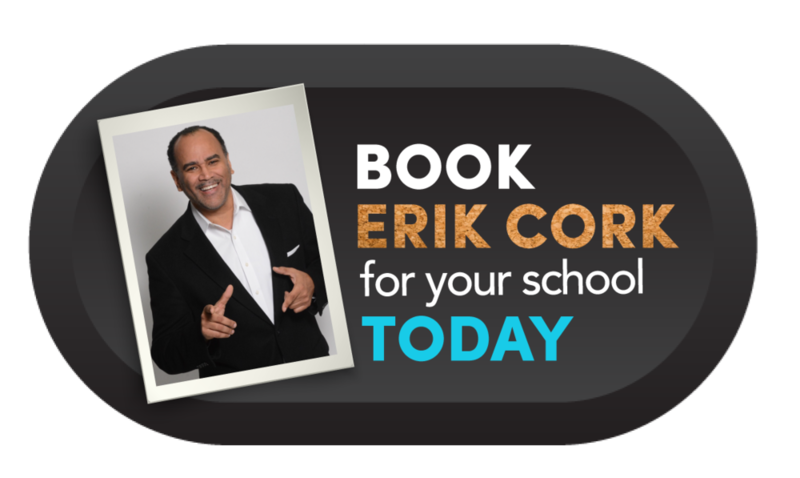 Whenever the phenomenal Erik Cork is in a city close to me, I adjust my schedule to see him mesmerize children and teachers. It is a joyfully humbling experience to learn right along with the students and staff. He has a master ability to get students excited about writing and keep them engaged. His words of advice, knowledge of his content, as well as his masterful delivery of the information is unmatched. It is not often you meet someone who absolutely loves his/her job one who looks forward to the next encounter with people, whether it is with teachers, parents or students. Erik Cork is that one in a million person who takes his job and loves it. Every time he stands before an audience, he is truly “turned on.” He not only light up your space, he lights up the entire room; and it only takes about one minute. I had the pleasure of meeting Erik when I was Director of Minority Educator Recruitment and Retention for the Kentucky Department of Education. I was looking to not only to recruit new teachers for Kentucky, but I was also looking for ways to inspire individuals from other occupations to become educators; educators with a love of teaching and a love for students. How well I remember our first encounter! My staff and I had a “recruitment booth” setup in an effort to present our new Kentucky Education Reform Act to the hundreds of teachers at a national conference, when this charming young man passed by and made a comment that caught our attention. I immediately ran him down to speak to him about our program. He politely informed me that he was not a “professional educator,” but that he was more interested in reaching students who felt disenfranchised in traditional classrooms. After hearing his spiel, I decided I needed to see what this charismatic young man was about. Upon sitting in on one of his sessions with students, my first thought was “This man is The Real Pied Piper.“ He not only instantly got students’ attention; he got them engaged in a way I had never seen before. Students became immediately engaged; they wanted to be a part of the session. They were eager to show him that they knew the answers. They raised their hands, jumped out of their seats, and blurted answers out loud. They wanted to participate. Erik makes learning fun. He used tools students could identify with to make them want to learn. His masterful use of Rap, Rhythm and Rhyme is a unique method of reaching students where they are. They identify with him in ways most teachers would never get them to. Yet, he does it so effortlessly. His uncanny ability to reach every child in a room, to reach teachers, administrators and parents is amazing. During his most recent visit to Louisville, the impact he made on our district Superintendent, our school board chair, a state senator, parents, college of education representatives, parents, educators and students was truly something to behold. The superintendent was scheduled to attend another meeting that day, but changed her schedule in order to spend as much time as possible watching this phenomenal “teacher”. Our school board chair, had to leave for another engagement, but returned for the afternoon session and stayed for the rest of the afternoon. The state senator, college and state representatives stayed the entire day. Everyone was in AWE. Parents are still asking when we can bring him back. Everyone was in AWE. Parents are still asking when we can bring him back. If we could only find a way to inject teachers and administrators with his enthusiasm, love for children, commitment to teaching and making a difference in the lives of children, we could change the academic environment in America’s schools. Erik is the one person I know who takes his job and loves it!!! Energetic and engaging, Remarkably relevant, Inspiring and Knowedgeable content . . . These are just a few words that describe the Rap, Rhythm & Rhyme: Rebuilding the Writing Foundation Workshop created by Mr. Erik Cork, who is often called, “The Hardest Working Man in Education.” He has presented this workshop to tens of thousands of students, teachers and parents throughout the U.S. as well as to international audiences. As one privileged to be in on Mr. Cork’s journey from his start more than twenty-five years ago, I am awed and encouraged by the continuing work of this purpose driven young man who has positively impacted the lives of so many young people and so many educators. "Students in grades 3 thru 6, including self-contained and inclusion classes participated in Erik Cork’s day-long presentation. Our curious staff viewed his presentation during a fall Superintendent’s Conference Day. Overall, both students and staff agreed that Mr. Cork is a dynamic presenter who engages both adults and students in the learning process. He employs the foundations of literacy pedagogy to raise the level of teacher performance and student ability. More importantly, Porter staff used his strategies such as “country, stick to the topic, and baby word” to elevate students’ writing skills. 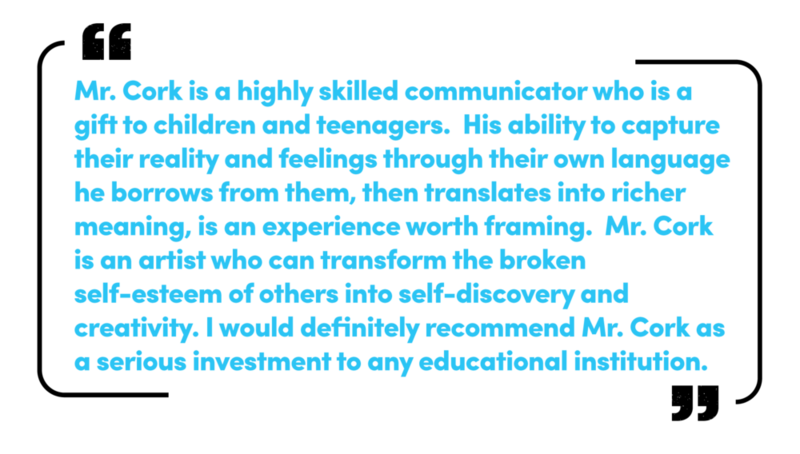 Mr. Cork is extraordinarily gifted in his ability to communicate to engage and inspire all learners." I met Erik and found out about his writing workshop through NABSE! A few years ago in Dallas, I happen to walk into the student’s workshop, I found what Erik was doing to be informative and entertaining. At the time, I remember commenting to myself, he must really know the students of his school well, because every child seemed to be engaged fully and awaiting his next instruction or demonstration. The next year in Orlando, I again wondered into Erik’s workshop and at that time I realized that this is not his school and he doesn’t know these students, yet they are just like the students in Dallas, these students were fully engaged and hanging onto his every word. I stayed this time to understand the methodology of the workshop and to see if students were engaged because they were being entertained or were they learning something that would enhance their understanding of writing and improve their ability to write. I sat amongst a row of students and I watched them take copious notes. I turned and asked a young man, “Is this going to help your writing?” His response was thoughtfully provocative when he replied “Only if I use it”. The next year in Nashville, after watching Erik work for about 10 minutes with this new group of students, all eager young Tennesseans, I knew that I wanted him to work with my students and help them kick start their understanding and appreciation of writing. Whitney Institute association with Erik Cork is entering our fourth year. True to form, Erik has touched our young people’s hearts and minds and has inspired a new desire to write within our school. His workshops integrate so well with Literacy Collaborative classroom instruction that my teachers use. My students apply the grammar rules that they learned in Erik’s writers’ workshop daily. As you are keenly aware, we as educators have to take those additional steps that reach our children where they are and elevate them into success, Mr. Erik Cork is an instructional leader who loves teaching and learning and he has developed a niche that reaches students and inspires them to write! Erik’s role at the annual conferences should be expanded to allow professional participants to have the opportunity to listen, consult and brainstorm with him. Arriving late to a principal conference everyone else had chosen the workshops they wanted to attend. I was left to attend a workshop called "Rap , Rhythm and Rhyme!!! I can remember not being a "happy camper". I may have been a few minutes late but was intrigued by his energy, intensity and validity his work would be for students to increase writing. I can remember asking him to start over. He laughed and complied. I was so impressed. He was introduced to my colleagues and the "rest is history." What an "incredible journey" as my writing scores soared tremendously, and I made "A's for years. He was truly loved by students, teachers and the "doubting principal." Erik Cork’s connection to the international family (Blacks in Nova Scotia) spans 20 years as a friend, teacher and mentor who widely acknowledges his ‘International Family’. Erik has presented across the province (Nova Scotia) teaching teachers and working with and for Black children internationally since the 1990’s visiting schools and African Nova Scotian communities. His connection to the Black Educators Association (BEA) and the Nova Scotia Alliance of Black School Educators (NSABSE) began nearly two decades ago at an annual general meeting of the National Alliance of Black School Educators (NABSE) where he became acquainted with some Nova Scotia member delegates. And, so the friendship began. Through the years, we have had the honor of being in the same space as this brilliant and warm-hearted individual on numerous occasions. Very few educators I’ve encountered during my lifetime have represented the quintessential teacher like this gentleman! Erik Cork has worked with hundreds of students and Nova Scotia conference delegates with a fierce determination to help them become young scholars and have teachers exude the passion for teaching that he does. Erik has been accepted as an honorary “Scotian”; demonstrating the real connection that an educator must have in order to make a difference in or impact the lives of those he teaches. He or she must become part of the family! "I am writing this letter in regards to the professional development and school visit made by Erik Cork. There are multiple reasons why I found his strategies to be beneficial in the classroom. Erik Cork is a very inspirational man. Not only did he motivate the staff – he also made the students excited about writing. This was extremely powerful to witness. His use of lyrics and music to promote language arts was effective. Erik Cork’s influence and enthusiasm sparked a desire to become better writers in our students and better teachers of writing within the staff here at Hughes. words are not allowed in my classroom-especially in their writing. If they want to go to the bathroom, they use words like: proceed, vacate, exit.. That is an expectation and they know this. When students edit their writing they look for illegal words and replace them using our word wall or a thesaurus. Erik Cork also improved my instruction in the classroom with his strategies on building meaningful sentences. His graphic organizer using a hand with who, what, where, when, and why, is a favorite I now use to help my students elaborate on topics we are discussing. I also use his “8 ways to spice up writing” on a regular basis. Erik Cork is unlike any other speaker I have witnessed in that he has the ability to connect with our culture and make them all become inspired writers. He is motivated and passionate about what he does, and it was a wonderful experience having him come to Percy Hughes." We had the pleasure of having Mr. Cork present to our 8th grade student body on September 28th. I must tell you I was a bit skeptical that he could keep the attention of 400 eighth graders for an entire day. Needless to say, I was shocked at just how engaged our student remained for the entire day. They didn’t even want to take a break to eat lunch. I found myself just as engaged because he has a talent of using music, movement and technology that intrigues you and makes you want to pay attention and participate. Not only was this workshop engaging, the students actually LEARNED how to improve their writing and increase their vocabulary. IT was AMAZING!!! You will leave this workshop tired, but feeling like you truly learned something! And might I add, I have been in education for 16 years, and I have never seen such an exciting, inviting and engaging day of learning! Should you feel the need to contact me, please feel free to do so. From the moment I met Erik Cork, I knew that he was destined for great things! As Assistant Superintendent for Administration for Galveston ISD, I was a member of Texas Southern University’s CPAL program (The Center for the Development and Study of Effective Pedagogy for African American Learners). Bringing his name to the Center and inviting him to Galveston to work with my principals was one of the best decisions that I had made in my 35 years of educating youngsters. I invited him and Harriet Ball; two fantastic teachers who had immeasurable success with raising at-risk students’ writing and math scores, to work with my elementary principals and their staffs. Erik used his method of “Rap, Rhythm and Rhyme “to train teachers in using this strategy for teaching their students how to write and to love the skill of writing. Seeing reluctant students elevate to a new level of accomplishment was amazing! Test scores soared! Seeing the look of joy on the faces of students who previously had no interest in being in school, let alone any interest in language arts was amazing. They were able to beautifully write cohesive and mature compositions. I wish Erik and his staff many years of success in affecting the lives and the education of youngsters all over the United States. Riveting. Responsive. Revolutionary. Erik Cork is a man on a world-wide mission to tap into the impressionable minds of young people through intertwining artistic expression with learning. In his "Rap, Rhythm and Rhyme: Rebuilding the Writing Foundation Workshop," Cork offers students a tabula rasa with which to establish a new paradigm for building critical skills, while igniting their passion for writing. Cork's uses poetry and prose to expose the pressing issues that educators encounter while challenging us to reflect, rethink and refocus our attention on what matters most--nurturing brilliant minds.